Last month I was part of the inaugural Riot Grrrl Happy Hour committee. I DJ'ed the first-ever monthly party, happening every 3rd Friday of the month at Over the Eight. 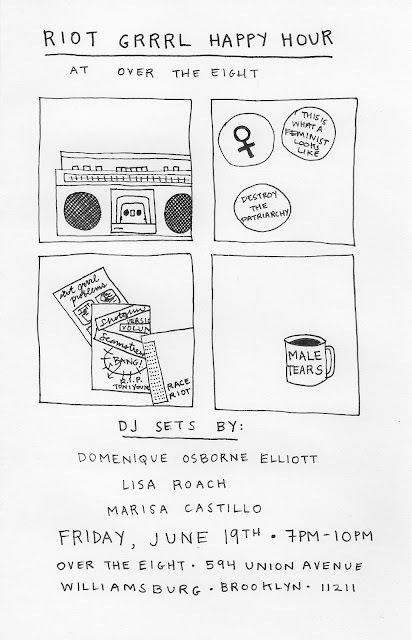 I won't be DJing this month, but I did make this little flyer for the fine females that will be. Don't miss it!